Peugeot’s small crossover cuts through the fashion-forward nature of the segment and ends up being a sensible family car. The passion amongst Europe’s car buyers for crossovers and small SUVs seems to be unending. A class of car that simply didn’t exist a decade ago is now booming beyond all expectations and stealing sales from more traditional segments, such as saloons and small MPVs. The trouble is that it’s easy to get swept up in the fashionable hype and end up with a car that’s very trendy, but not actually all that good. 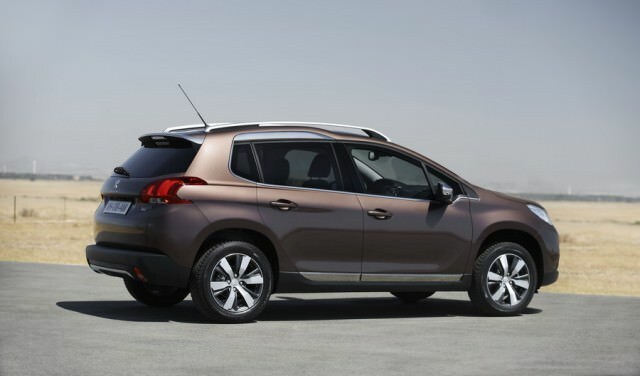 Thankfully, there’s the Peugeot 2008, a sensible small crossover that makes as good a family car as it does a fashion trinket. In fact, rather more of a sensible family car than a fashion trinket and there’s none of the OTT styling you’ll find on rivals from Renault, Nissan or Fiat. That’s probably a good thing though, as buyers are notoriously conservative when buying second hand, so having a plainer, simpler car will be to your benefit come resale time. On the outside, the 2008 has a passing resemblance to an old Land Rover Discovery (if you shrunk one a bit) or even a Talbot Matra Rancho (ask your parents…), while on the inside it looks like a Peugeot 208 hatchback wearing lift shoes. That’s hardly a surprise, as the entire mechanical package comes from the 208, but the extra height and length makes for a much more spacious car. All models above the most basic Active spec get a nice big touchscreen in the middle of the dash, and while not everyone likes the small-wheel-high-set-dials combo of the dashboard, it actually works quite well if you give it a chance. It’s best to avoid the smallest engine, the 85hp 1.2 petrol unless you (a) only drive in town and (b) never carry any heavy shopping. It’s pretty slow. Better by far to get a diesel. The basic 70hp 1.4 HDI sounds underpowered (and is a bit noisy), but actually pulls quite well. The 115hp 1.6 HDI does even better though and is the best all-round engine. It’s reliable too, but you need to make sure it gets a high-grade synthetic oil at service time, and keep an eye on the (plastic) water pump too. On the inside, quality is pretty good, but that ritzy touchscreen gives some bother. Keeping the software up to date (which your dealer can do pretty easily) seems to be the secret. As little as €15k will get you a 2014 1.4 HDI, which should do the job nicely. Country dwellers might want to upgrade to a 1.6 diesel with the optional all-season tyres and winter-defeating ‘Grip Control’ traction control system. The thing about the 2008 is that it’s sensible. True, there are more stylish competitors out there, but it’s got plenty of space, a decent boot and is more than decent to drive. A car to keep, long term, this one.